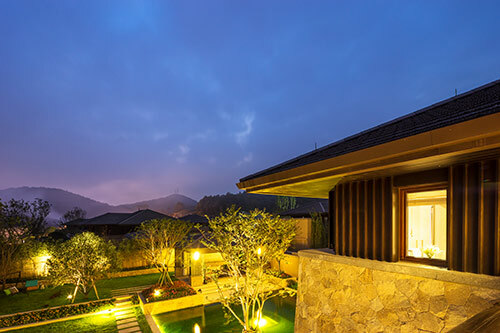 Just as your lighting inside the house can all be connected and controlled together, so too can your landscape lighting. If you have a smart home in Frisco, TX, you probably have outdoor space that you want to enjoy after dark. With landscape lighting we can visually expand your yard in the evenings, giving you a great sense of privacy. We can also make your indoor spaces look larger by giving you the impression that your room extends outdoors, and doesn't just stop at the dark (and scary) windows. We install up-lights, path lights, step lights, tree lights, and more. With our smart home automation systems you will never deal with another timer or photovoltaic sensor again. We can have the lights come on in the evening, and go off at sunrise, or at the touch of a button, or via your smartphone, etc. When the seasons change our systems automatically adjust along with the light to ensure you have light when you need it, but not when you don't. Landscape lighting is also a wonderful security feature. Don't let potential thieves operate in the dark. Protect your family and property with low-voltage LED landscape lighting from Audio Video Innovations. At Audio Video Innovations we primarily use Coastal Source landscape lighting, featuring low voltage LED lamps. Coastal Source is the most reliable landscape lighting system available. With Coastal Source no field-spliced wires are buried throughout your yard (and lost forever.) Using air and water-tight connectors, known as Coastal Connectors, our technicians assemble factory produced and sealed wiring, for greatly improved reliability over traditional landscape lights using wire nuts. If you live in Dallas, Southlake, McKinney, Frisco, or any of the surrounding areas call today and let us update the look of your home with LED landscape lights.